We carry a full line of Purina Horse feeds. No company puts more research and love behind its horse feeds than Purina Mills. Whatever lifestyle, age or condition your horse is in, there is a Purina Horse feed that will be just right! 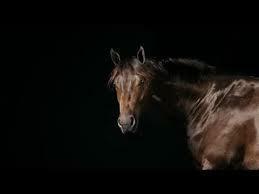 The Purina Horse App is Here! 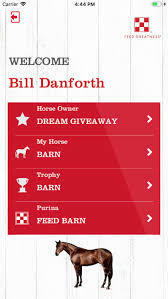 If you have a horse then you need the new Purina Horse App, "My Purina Horse Barn". Manage your horse's feed, enroll in the Feed Greatness Program and have access to Purina nutritionists and more! There will also be contests and prizes available to win! Here's a great video on taking care of older horses during the winter months.